I’m starting off 2017 sharing the incomparable Bevy Smith’s professional story because it could be your story. A one-woman tour de force, Bevy is a rare and extraordinary combination of pop culture encyclopedia, intelligence and real depth. On-camera she is larger than life, smart, present, witty, bold, opinionated, unapologetic and totally entertaining. Off camera Bevy is all that and more: Warm, generous, aware, curious, speaking her truth and always coming from a place of integrity. 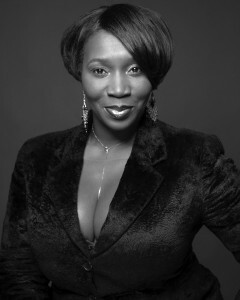 Once upon a time Bevy was the very successful Fashion Ad Director for VIBE and then Rolling Stone, one of the first people to connect the music world and fashion brands in a big, lucrative way. After many fabulous years sitting front row in Paris, Milan and New York, Bevy knew the print magazine business was a losing proposition and that growth – personal and professional – was ahead of her in front of the camera. She quit her job and went to work becoming a media personality. That was 12 years ago. Almost immediately Bevy was offered to co-host Tim Gunn’s Guide To Style for Bravo…and she turned it down. Because it wasn’t the right deal for her. That took guts. Smarts. Moxie. And they did. Seven years later Andy offered Bevy “Fashion Queens” on Bravo and since 2015 Bevy has hosted “Bevelations” on RadioAndy SiriusXM (channel 102.) Bevy is also a member of Wendy Williams’ Style Squad on BET and starting this fall will be seen nationally on PageSixTV, syndicated on Fox stations. Be Strategic. Identify your goals, have a game plan, do your research. Do the work. Immediately after quitting her magazine job, Bevy started acting lessons, host training, improv classes and writing courses. She practiced and was open. She asked questions and paid attention. She respected the protocols of the industry she wanted to conquer. Within six months she was contributing to magazines as a writer and getting booked on TV shows as a guest fashion and pop culture expert. Play the long game. Your journey won’t be overnight and it won’t be linear. Fly low to the ground. Be smart about your finances so you can take risks and take advantage of opportunities. Create opportunities. Always entrepreneurial, Bevy played to her strengths creating a marketing company, Dinner With Bevy, connecting brands and celebrities. As Bevy says, “You want to be in the room.” Figure out a way to get in the room. Own your thing as much as you can – your social media, your platform, your business. I take Bevy’s tagline to heart: It gets greater, later! …and I love these words to live by: Be witty, have a clever comeback, be cute, well-dressed and able to dance. This is an excellent summary for success!